The term "optimization" is becoming a huge buzzword across many modern industries, and for good reason: as customers have access to more and more information to compare options, competitors have to step up their game in order to win business. In general, optimization refers to making the best use of a resource or process — in this case, making your shop operate at maximum efficiency. We're here today on the blog to discuss what optimization means in terms of the most critical elements of your auto shop environment and workflow. In general, the key to auto shop optimization is being intentional about the way tasks are completed, as well as fostering communication among your technicians and team members. 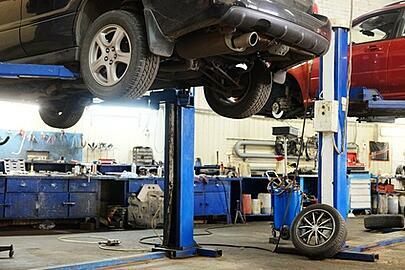 For more specifics to look for when optimizing your auto shop setup, keep reading. In order to get started optimizing your auto shop for maximum efficiency and productivity, you should be intentionally organizing the resources you have in three main areas of your business. Your shop's physical space: On a basic level, it's critical to have enough physical space to accommodate the amount of vehicles you need to be servicing at one time and to have a clean, organized workspace for your technicians. The allocated space for each type of job should correlate with the intensity of the job: things that take longer require more space, while quicker, in-and-out jobs require less. Once you have a clear maximum capacity, ensuring that none of your physical space goes to waste, you should also consider how well you provide the tools, products, and parts your technicians need on a regular basis. Stocking your shop with the right products (or having access to brands and providers that can) helps you provide quality service to your customers at all times. Be sure to communicate your spatial plan with your technicians so that everything remains in its place. Your shop's time and scheduling: With your maximum capacity in mind, your next step should be to optimize how you schedule the work that comes into your shop. In order to keep your shop full of new jobs and customers that bring in profit, you must make avoiding comebacks a top priority. Using high quality parts and rebuild kits that include every part you need is one of the best ways to ensure you get the job done right the first time. Additionally, the skill level of your technicians contributes to the amount of time each job takes (see our post on automotive training resources for more information on keeping your techs up to date on trends and technology in the industry). Be sure to communicate with your techs about their efficiency levels and ways to improve their weaknesses. You can also save time by staying in contact with your customers to expedite pickups after the service is complete. Your shop's process map: Finally, set a clear path for each type of repair job to follow through your shop. If you can maintain this consistent "process map" for each type of service you provide, it's much simpler to track progress and ensure every job is moving through the workflow efficiently. Having a clear plan to follow keeps your technicians busy and ensures no essential tasks are forgotten. 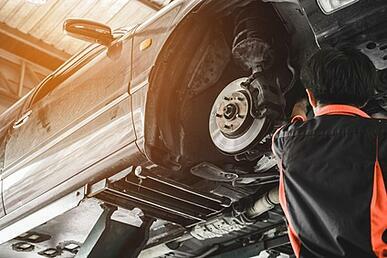 Communication is perhaps most essential in managing repair jobs in this area of optimization. By assigning clear roles to your techs and setting goals every day, you can create checkpoints that keep quality service consistent. While there are plenty of ways to further break down and optimize your auto shop process, covering these three main areas of productivity will get your business on its way to functioning at its full ability. The goal of optimization is to keep your shop consistently productive, potentially differentiating your business among competitors in your area, price range, and specialty. By putting optimization plans into action, you can track your resources and efficiency clearly as you move towards maxmimum output.